Over the last three years, I've reduced my possessions to only those things that will fit inside one suitcase and one hand luggage bag. 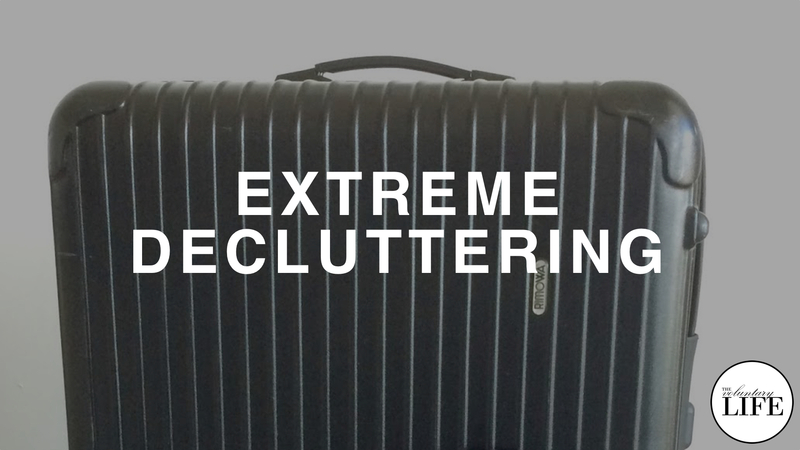 My wife and I decided to pursue extreme decluttering, in order to make a lifestyle of long-term travel more practical. Decluttering was easy at first, but got harder the more extreme I took it. My possessions were not just serving practical needs, but emotional ones too. I had to work out how to address those needs before I could get rid of my stuff. Decluttering also forced me to acknowledge mistakes I had made in the past— mistakes I preferred to avoid thinking about. Overall, extreme decluttering has been a fantastic learning process. I feel much freer because of it. I think that you can benefit in a similar way by decluttering, even if you don't want to reduce your stuff in such an extreme way as I did.